Home » Ask Mel » Ask Mel Wednesday: What are the best eating spots for picky eaters? Ask Mel Wednesday: What are the best eating spots for picky eaters? Question: What are the best spots for picky eaters? Answer: This in part depends on what you consider a picky eater. I am going to assume my definition of a picky eater which is this – someone (adult or child) who likes to eat from a certain set of standard foods and is resistant to try foods that seem exotic, out of the ordinary, or prepared differently than they are used to. Now that the definition is out of the way, I am going to break this up into three sections: kids, counter service and table service. Here is the bright note, if you are concerned about a child who is a picky eater – almost every kid’s menu at Disney has children’s classic “picky eater” foods – chicken nuggets, macaroni, pizza, or a hamburger. So, if you are worried about catering to a picky child – fear not, mom and dad can still enjoy their favorites while Junior noshes on his favorite chicken nuggets. Moving on to counter service restaurants for picky eaters; I am going to base this answer on a friend who (as an adult) admits he prefers to eat chicken fingers, cheeseburgers, and French fries. While the fitness professional in me cringes at this thought, the Disney vacation specialist in me can still help him find the places best suited for his dining preferences. I will give you some top choices in each park for “standard fare”. In the Magic Kingdom, Casey’s Corner on Main Street makes a pretty terrific hotdog or head over to Pecos Bill Tall Tale Inn and Café in Frontierland for burgers and fries. In Epcot, if you are looking for burgers and fries you can check out the Electric Umbrella in Future World or I also recommend the Yorkshire County Fish Shop for their fish and chips. If you are in Animal Kingdom, head over to Pizzafari or Flame Tree Barbeque for BBQ ribs and chicken. While you enjoy the day at Hollywood Studios try out ABC Commissary or Toy Story Pizza Planet. 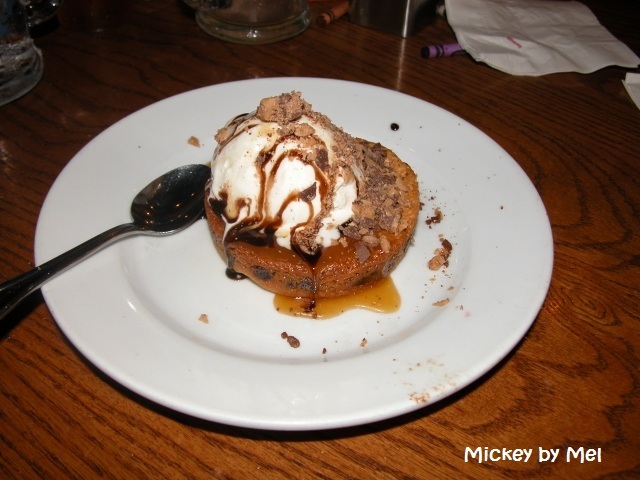 One of the great things about Disney dining is that there truly is something for everyone. And in many cases you can find something for everyone within a close distance. Now for table service meals, for picky eaters I usually recommend a buffet. This allows you to have so many different options that you should be able to find something that pleases your palate. While I do thoroughly enjoy them, two buffets that do tend to list towards more adventurous foods are Tusker House at Animal Kingdom and Boma at Animal Kingdom Lodge. Buffets are a great choice for a wide range of eaters. Some I would recommend trying if you have picky eaters: Hollywood and Vine at Hollywood Studios, Crystal Palace at the Magic Kingdom, Chef Mickey’s at the Contemporary, and 1900 Park Fare at the Grand Floridian. Some non-buffet options that you might want to consider include Tony’s Town Square in the Magic Kingdom which features traditional Italian food or Liberty Tree Tavern in the Magic Kingdom which serves burgers and sandwiches at lunch and a traditional turkey meal at dinner. In Hollywood Studios, the 50s Prime Time Café offers some of your favorite comfort foods like fried chicken or meatloaf. In Epcot, try the Garden Grill or Teppan Edo in Japan. This hibachi steakhouse allows you to watch your meal being prepared in front of you and the simple menu of meats, rice, and veggies will please most picky eaters. And remember, Disney is great with handling almost all food requests, from allergies to dietary restrictions – celiacs to vegans can feast like kings at Disney. You can always check out the menus on-line. (I will be trying to add an online menu section to Mickey by Mel this winter.) or you can call Disney dining line if you have questions or concerns about the meals. Great article, I am a mom of picky eaters and am one myself.